Phones4U not stopping at making their own network! Own brand phones coming too! The other day we heard that Phones4U were planning on launching their own mobile network, but it seems like their plans aren't stopping there. The company will, according to CCS Insight analyst Ben Woods' observant eyes, be launching a range of Phones4U branded phones which will be manufactured by ZTE. "We are planning it. Probably halfway through 2013," which was followed up with the comment that, "We may do that in conjunction with ZTE." We're a little surprised to be hearing this given that both ZTE and Huawei are working on building out their brand names in European and North American countries, but then the more devices in people's hands the better, especially for ZTE, who have already secured the title of the world's fifth biggest phone manufacturer for their efforts in 2012. If ZTE's previous efforts with British carriers are anything to go by then the devices will probably be mid- to low-range just like Orange's San Francisco and Monte Carlo were, both of which were good devices in their own rights, especially for their price! 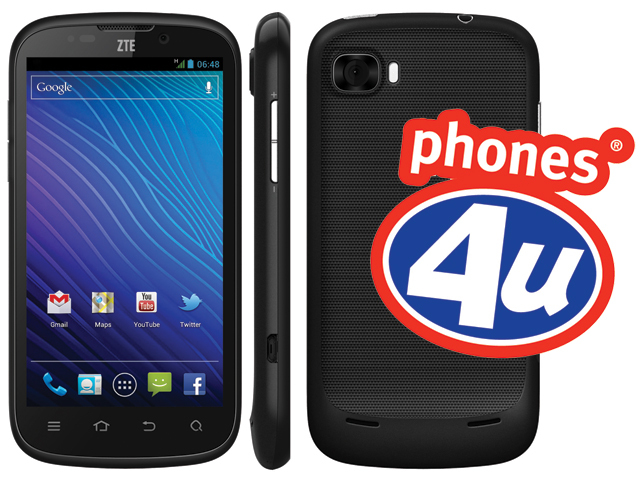 2013 will be a big year for both companies; ZTE will start their assault with Mozilla's new Firefox OS, whilst simultaneously managing their Android commitment and Phones4U's network, which launches in March, will be offering 4G before the year is out! Hopefully the duos combined projects will give us something to make us equally excited!